From a 19th century farm to a 1950’s cattle pasture, Canopyholds history deep in its roots. Bordered by the sprawling 8-mile Miccosukee Greenway, Canopy feels miles away from the hustle of the city life but is at the door step of shopping, dining, world-class medical facilities & schools. 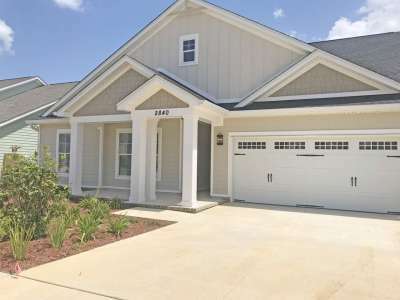 Homes in Canopy are built by Premier Homes and will pair comforting and comfortable elements like picket fences, gable roofs, and lap siding with versatile interior finishes like brick, wood-look tile and shiplap. Options such as craftsman trim and wooden shutters play perfectly with the natural beauty of the live oaks throughout Canopy. Regardless of where you are on life’s winding road, Canopy has a home perfect for you.